User similarity is one of the core issues in recommender systems. The boom in Linked Open Data (LOD) has recently stimulated the research of LOD-enabled recommender systems. Although the hybrid user similarity model recently proposed by the academic community is suitable for a sparse user-item matrix and can effectively improve recommendation accuracy, it relies solely on the historical data (item ratings). This work addresses the problem of computing user similarity by combining item ratings and background knowledge from LOD. 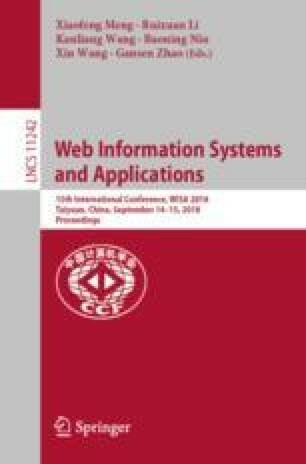 We propose a computation method for the user similarity based on feature relevance (USFR), which is an improvement on the user similarity based on item ratings (USIR) in the hybrid user similarity model. The core idea of our improvement is replacing the item ratings in the original model with feature relevance, thereby forming our hybrid user similarity model. Experiments on benchmark datasets demonstrate the effectiveness of the proposed method and its strengths of rating prediction accuracy compared to the USIR measure. Our work also shows that the incorporation of background knowledge from LOD into a hybrid user similarity model can improve recommendation accuracy.